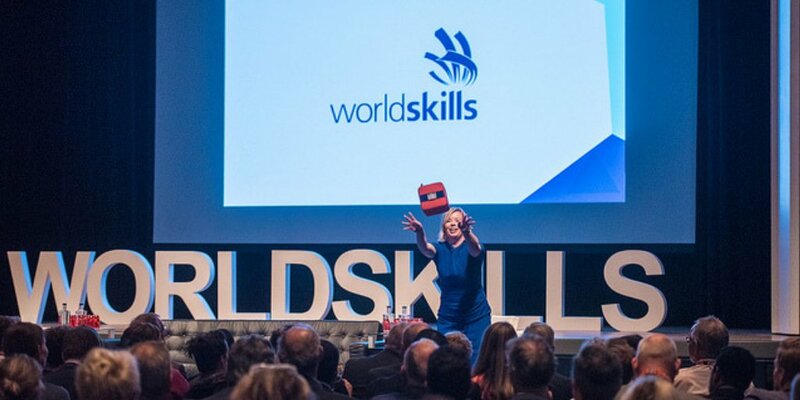 The annual WorldSkills Conference, organized by WorldSkills International and WorldSkills Netherlands, brings together leaders in education, government, and industry from across the globe to share best practices, discuss global trends in Technical and Vocational Education and Training (TVET), and highlight issues facing skills development. 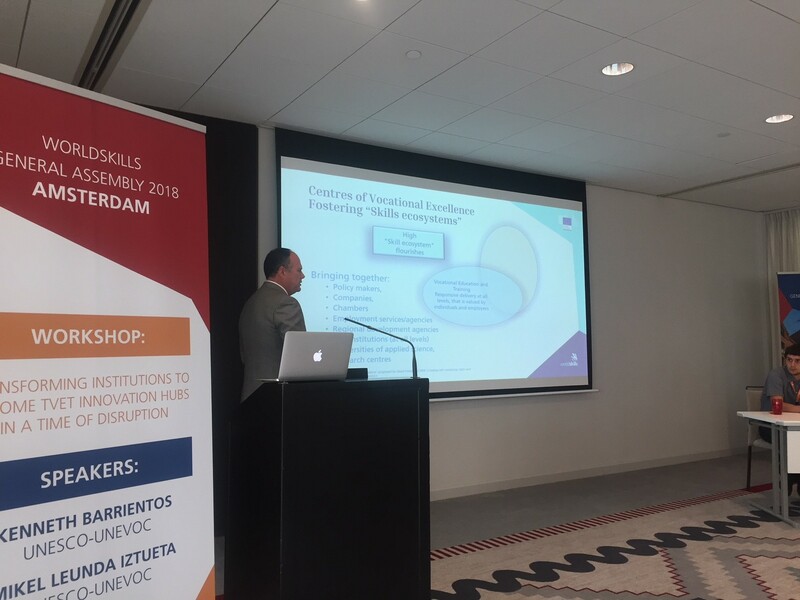 During this year’s event, UNESCO-UNEVOC held a workshop focused on “Transforming institutions to become TVET innovation hubs in a time of disruption”. The WorldSkills Conference aims to inspire solutions to the challenges faced by different stakeholders in the vocational sector. This year’s theme, “Uniting for Youth: Building networks for innovative skills solutions”, highlighted the increasing disconnect between the skills that are taught and those that are needed in today’s labour market. The skills gap is leaving millions of young people out of work as the use of automation intensifies and new industries rapidly emerge. Only a workforce with the fundamental skills to adapt to market changes can meet these challenges. The UNESCO-UNEVOC workshop provided insights into two different projects supported by UNESCO-UNEVOC and the European Commission. The two projects are reinforcing the agenda of stimulating TVET innovation that is deeply rooted in the local labour market needs and is well-coordinated with the local skills eco-system. The first project, UNEVOC's "Skills for Innovation Hub",was presented by Kenneth Barrientos, Programme Officer. The project addresses the recognized need to drive innovation in TVET to be able to cope with ongoing disruptions such as the digital revolution, climate change, migration and demographic changes, as well as the demand for an integrated development agenda. The interconnected nature of these areas is on one hand disrupting every aspect of work and life, but on the other, creating a critical mass of innovation and new employment opportunities across all sectors. 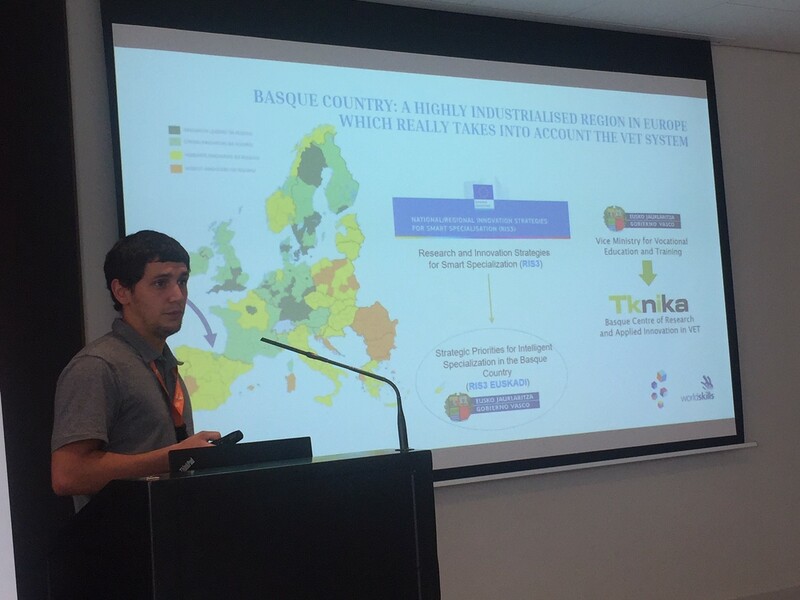 During the discussions, TKNIKA from Basque Country, Spain, a UNEVOC Centre, presented on TVET innovation in skills development and applied vocational education and training. Furthermore, participants benefitted from the rich experiences of the UNEVOC Network in implementing TVET innovation models that work and foster collaboration with partners in the local skills ecosystem. In the face of such anticipated wide-ranging changes, UNESCO-UNEVOC aims to encourage national TVET policy makers and systems’ developers to employ innovative measures to navigate the uncertain labour market of the future. The above-listed projects are well-placed in today's times as TVET must continue to thrive in an environment where disruptions are commonplace.